Hi guys! 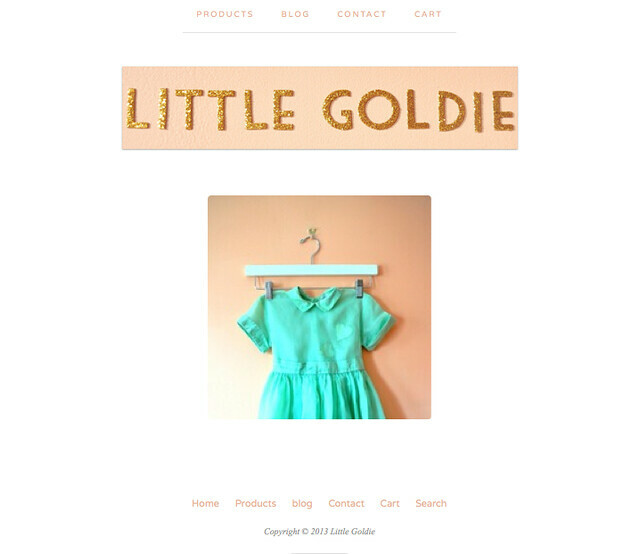 I'm super excited to launch the little girls (newborn-6) SHOP I've been working on. It's a natural progression for me to become more and more interested in children's fashion and if you follow us on Instagram and Vine, you know that we love to play dress up! Whether you have babies, want babies, or know babies....there's something for you. Everything comes to you freshly cleaned and if you are giving a gift, we can do free gift packaging. A million thanks for your continued support as I find my way as a mom. Mar 28 Sweetheart, I ask no more than this. Mar 18 New in store.